Show off that pedicure in the Born Belluno sandals. 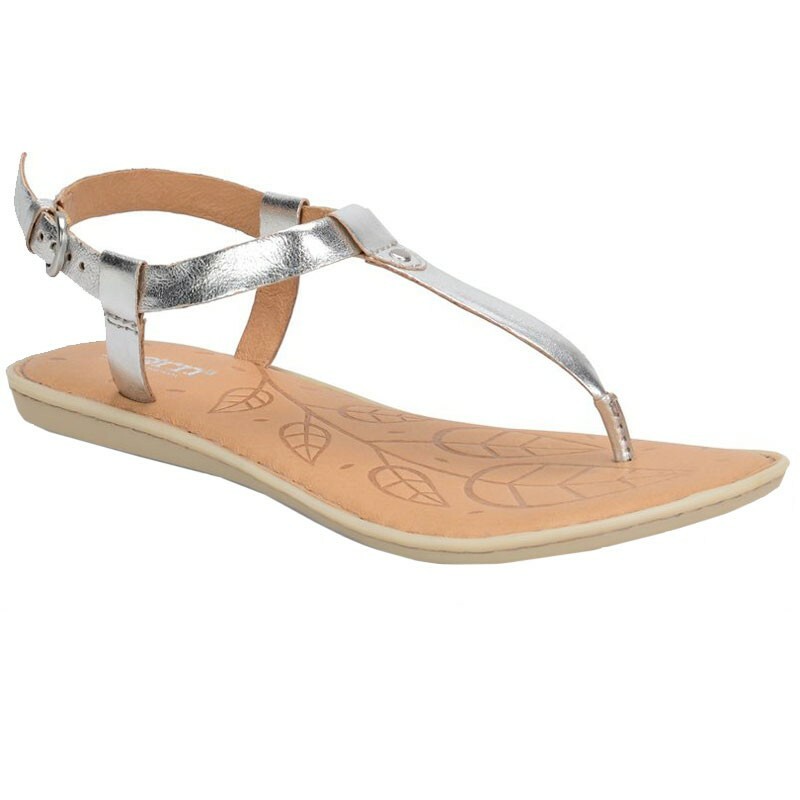 This women's t-strap sandal features a metallic leather upper with a canvas accent strap across the vamp. The ankle strap is easily adjustable with hook-and-loop closure. Leather lining and a leather covered footbed help wick away moisture for a healthy interior, while the cushioned footbed and steel shank combine to deliver supportive comfort. The rubber outsole provides traction for a sure step, and you can count on Opanka hand-crafted construction for reliable construction. Enjoy the warmer months in style with the Born Belluno sandals.